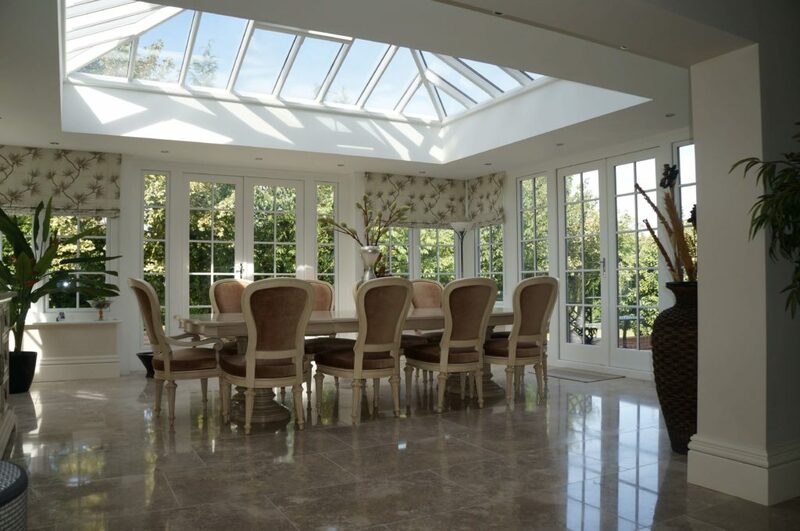 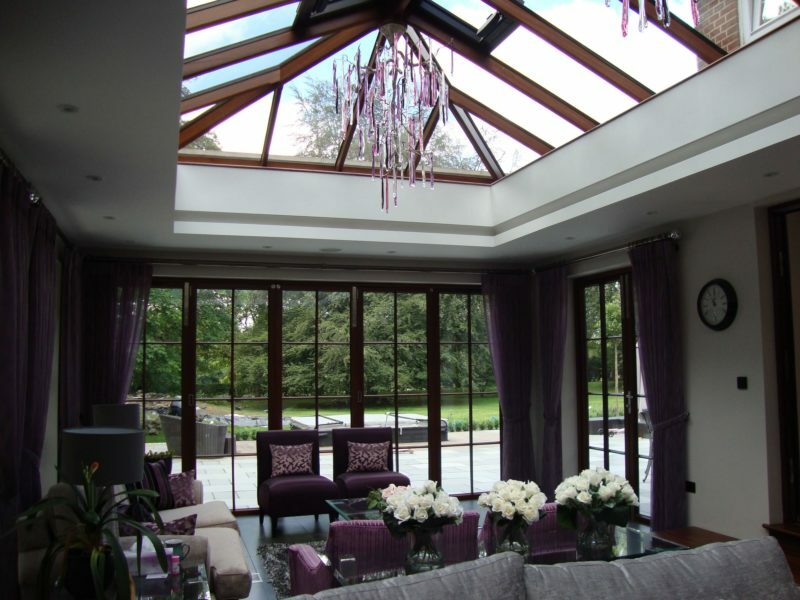 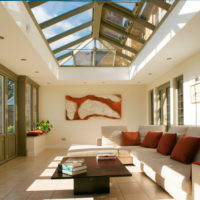 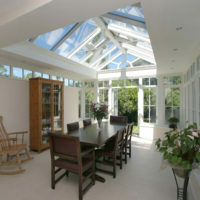 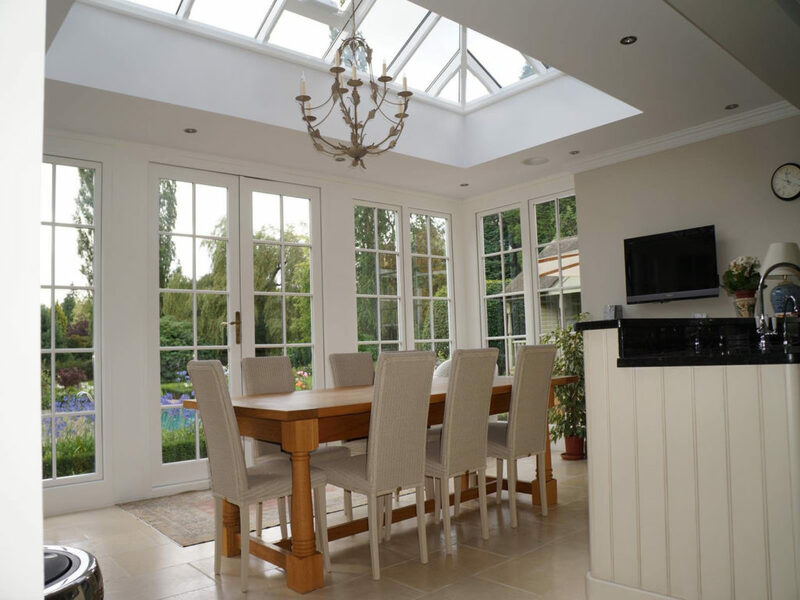 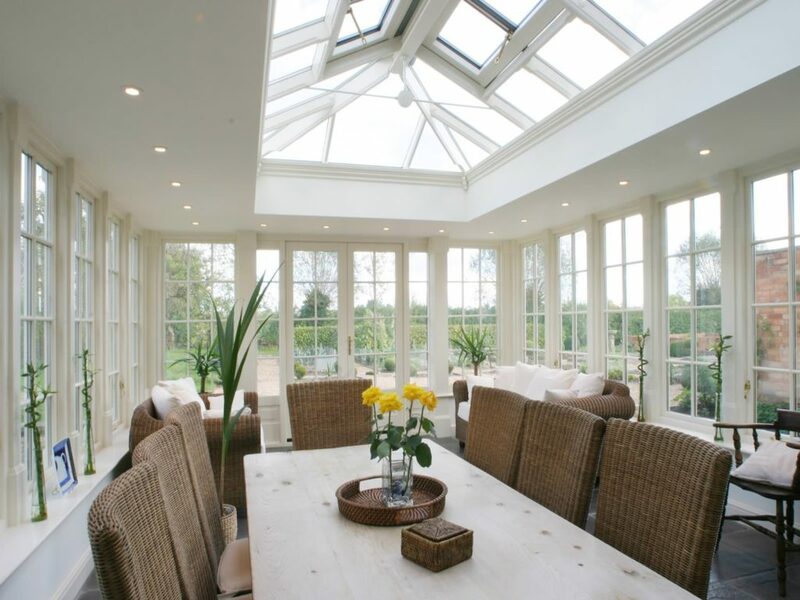 At prestige roof lanterns UK, we manufacture roof kits for Orangeries as well as orangeries themselves. 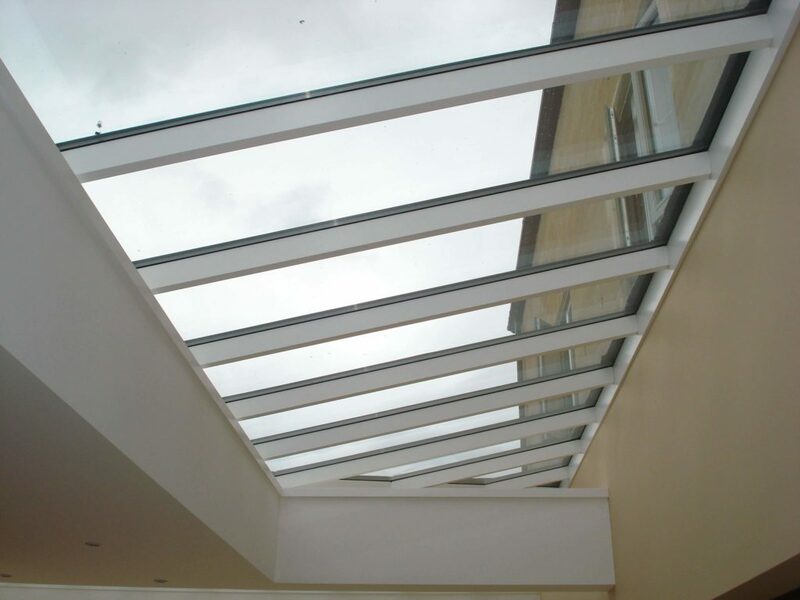 We can design and manufacture roof lanterns in any shape / size configurations to be installed on existing or new orangery structures, regardless of shape or size. 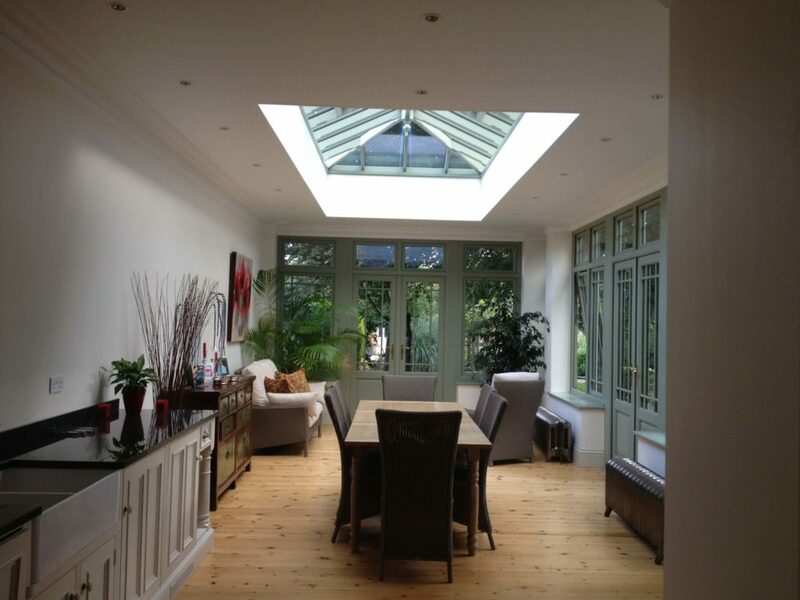 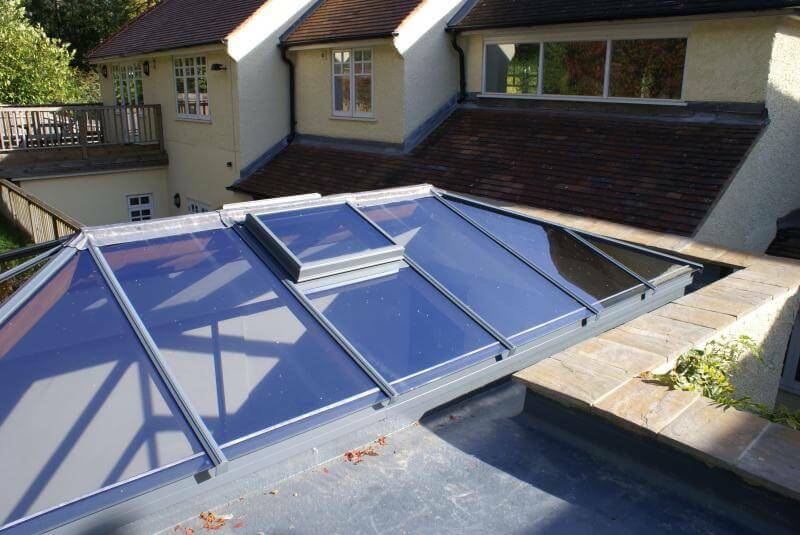 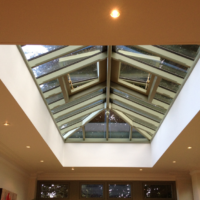 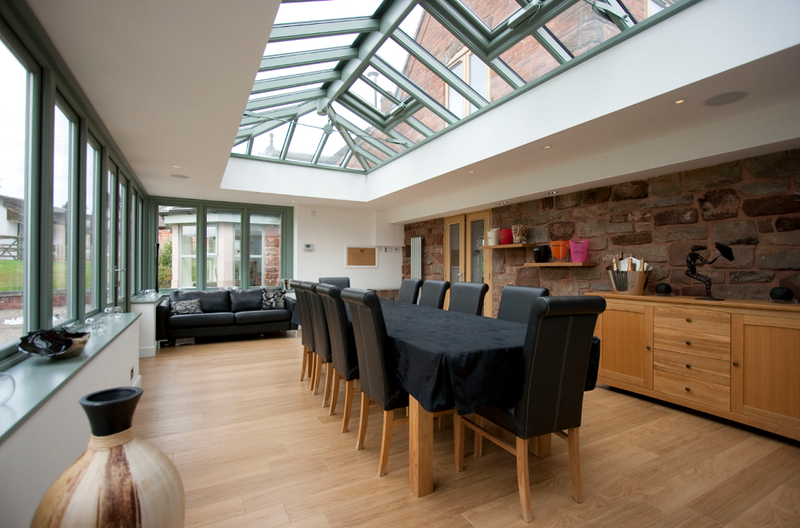 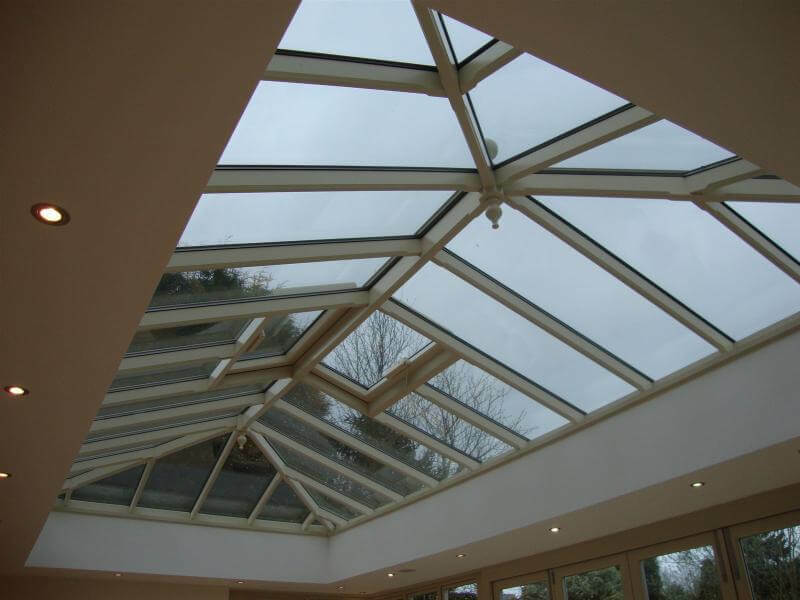 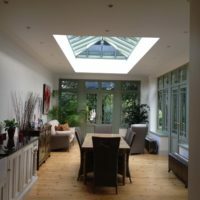 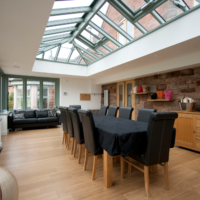 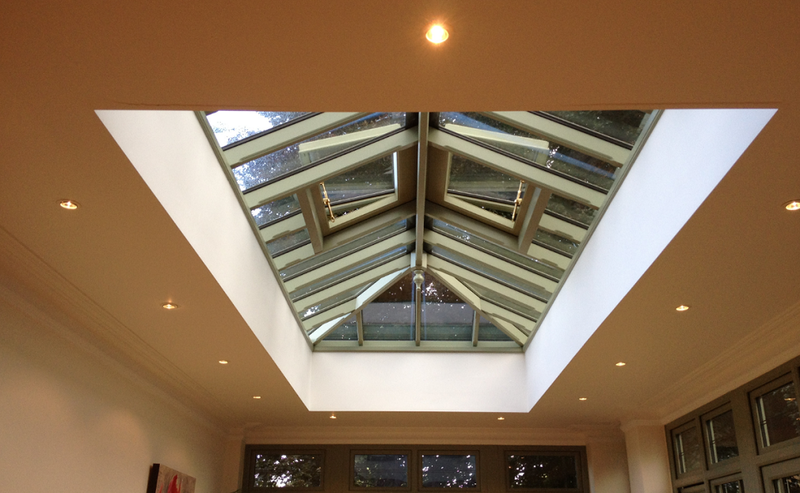 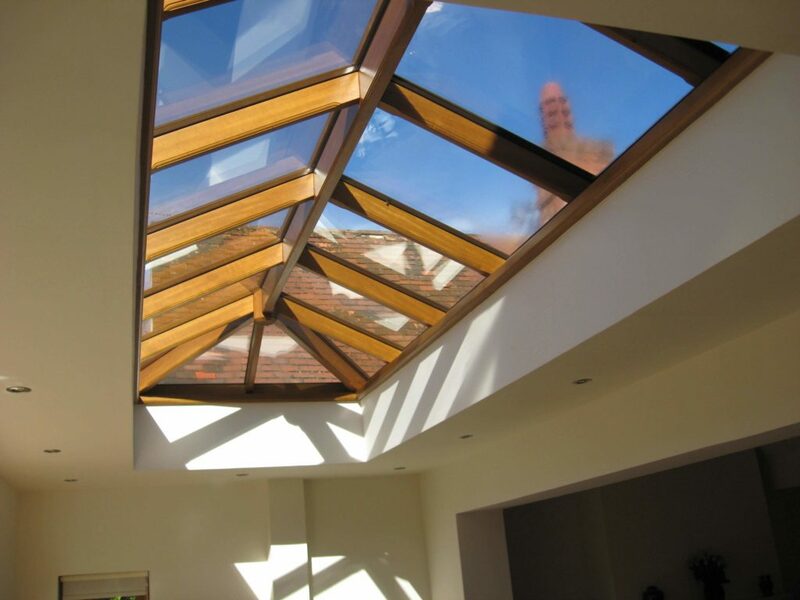 We can also ensure that any replacement roof lanterns fit within building regulations & existing planning permission. 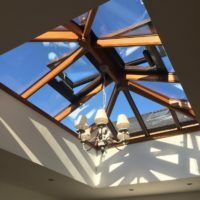 Our engineers and CAD designers are experts in structural design and lantern configuration, ensuring that the end product is manufactured to the highest quality, is ready to install and is guaranteed against weather damage, UV damage, wood rot, mould and more (please speak to us regarding maintenance routines to protect the wood). 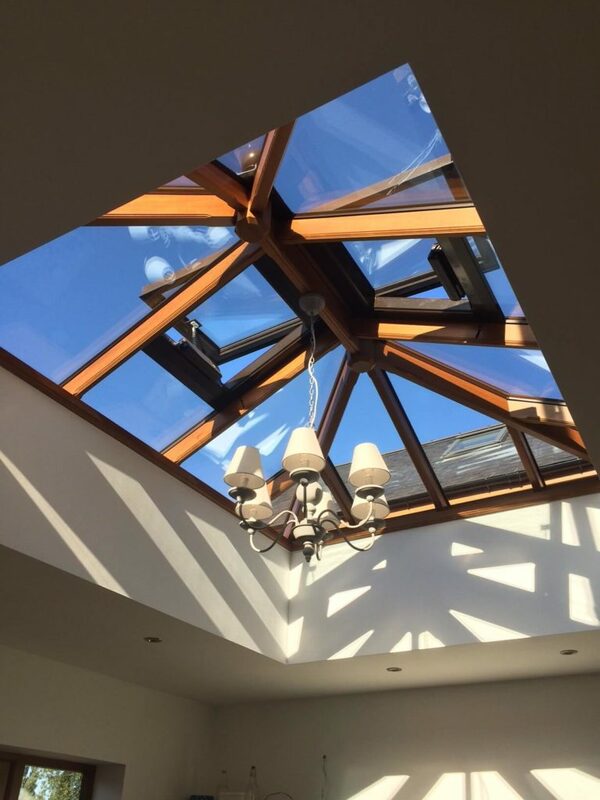 Our orangery roof lanterns can be supplied in oak and timber hardwood, we also offer an aluminium option, again, all types of lantern that we produce can be customised to an exact specification. 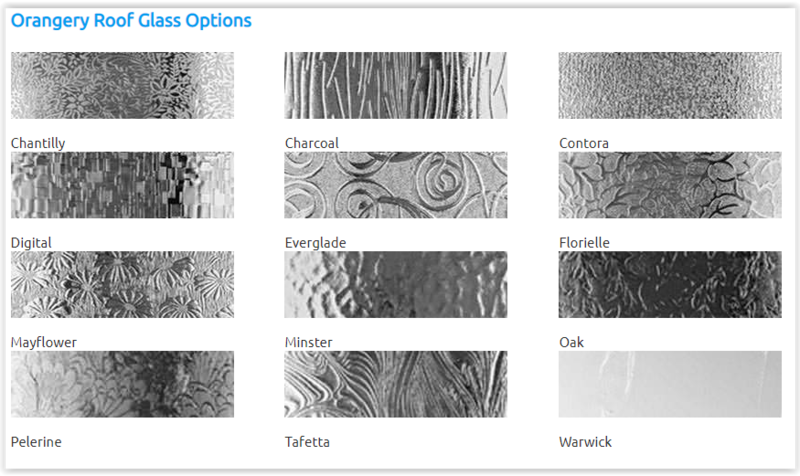 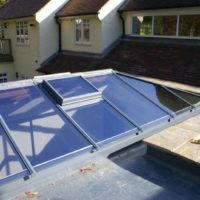 The kits we provide also feature a number of configurable options including glazing and glass options, roof pitch, rafter design & style, opening windows & vents, self-cleaning glass and lots more. 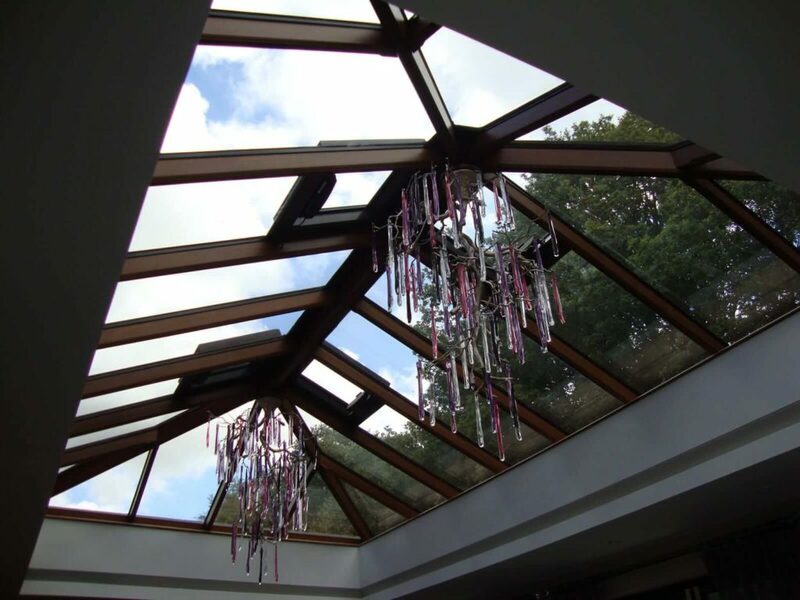 Our lanterns are low maintenance, especially when combined with self-cleaning glass options. 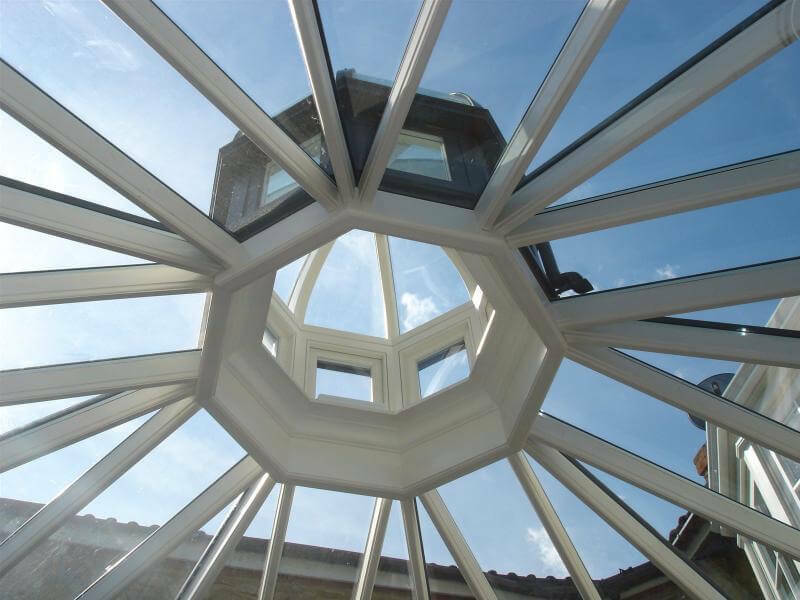 Because of the precision engineering process that we use when manufacturing lanterns in our joinery, you can be sure that our products are highly energy efficient and have excellent thermal retention. 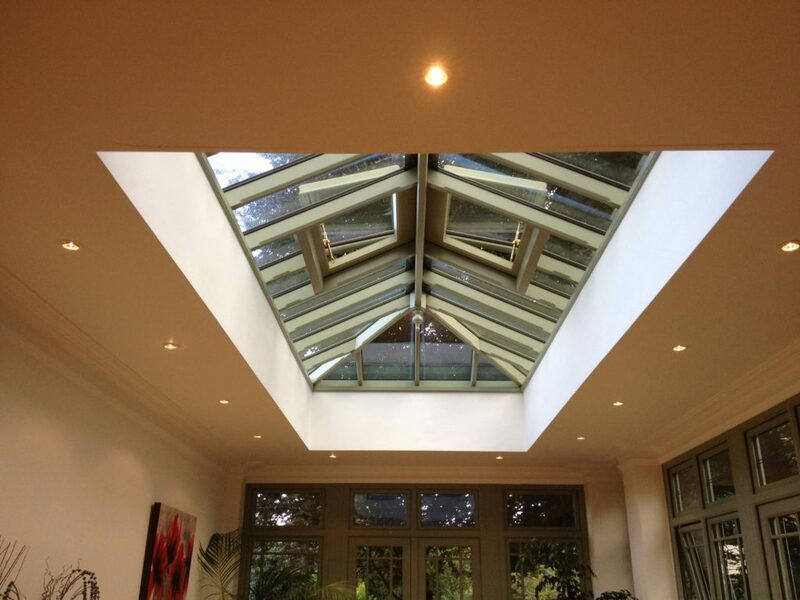 Our craftsmen hand finish each lantern after it has undergone precision CNC engineering on FSC sourced timbers. 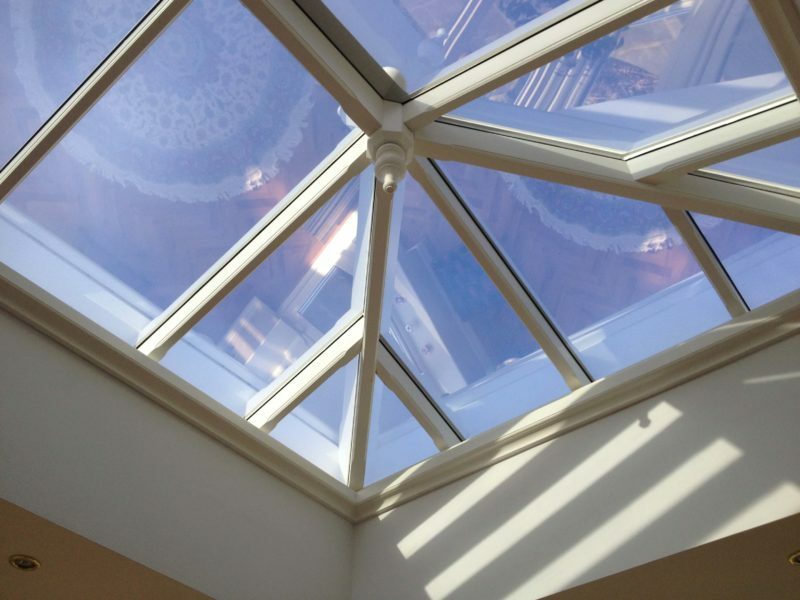 Our experts can work with you to help design and deliver a roof lantern to fit your Orangery structure with minimal effort, even if you require a lantern that is outside of standard specifications. 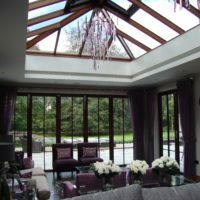 We’ll also work with you to ensure that any design requirements fit within building regulations and within planning permission for your existing structure. 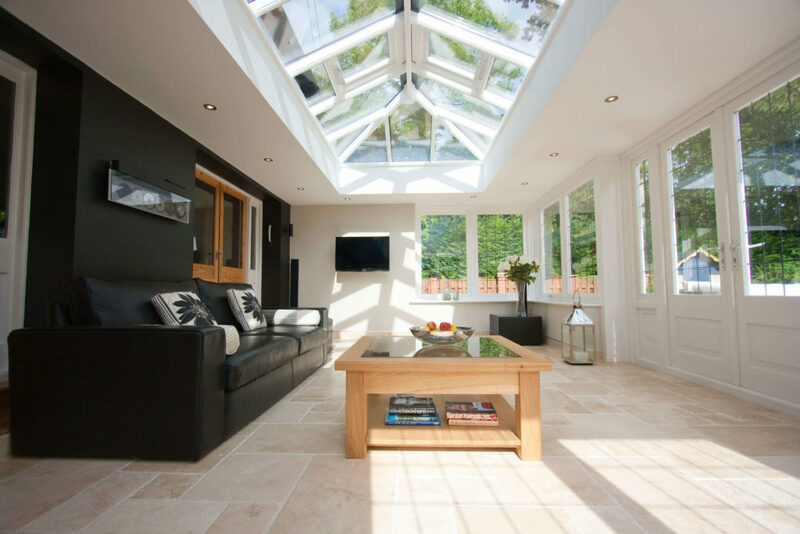 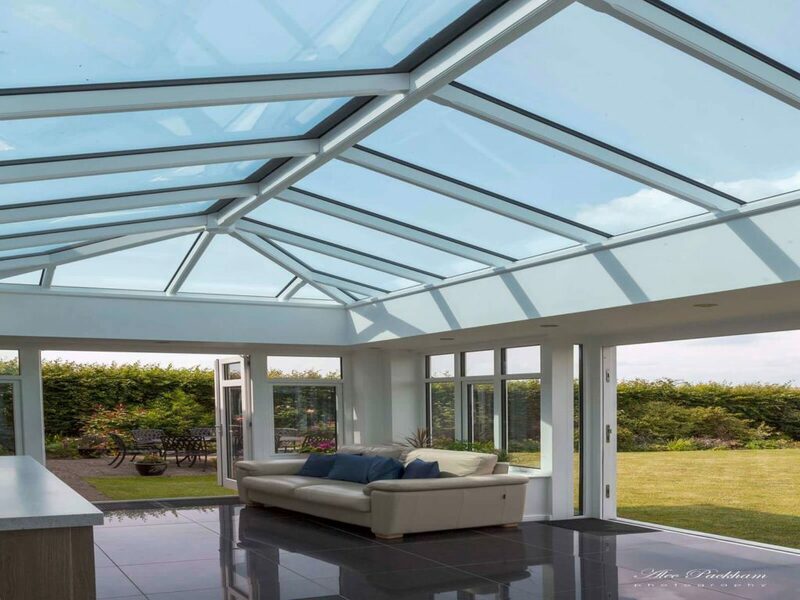 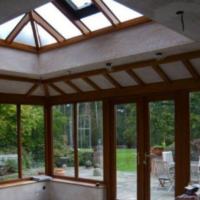 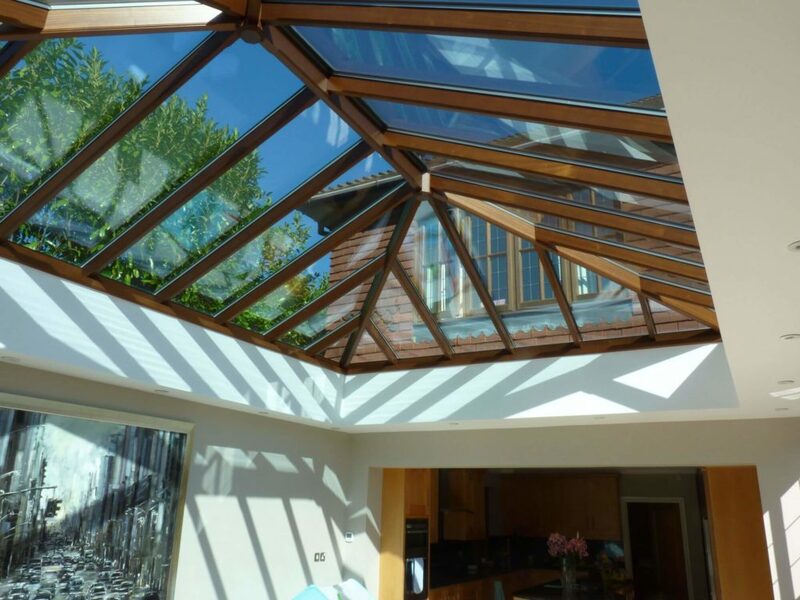 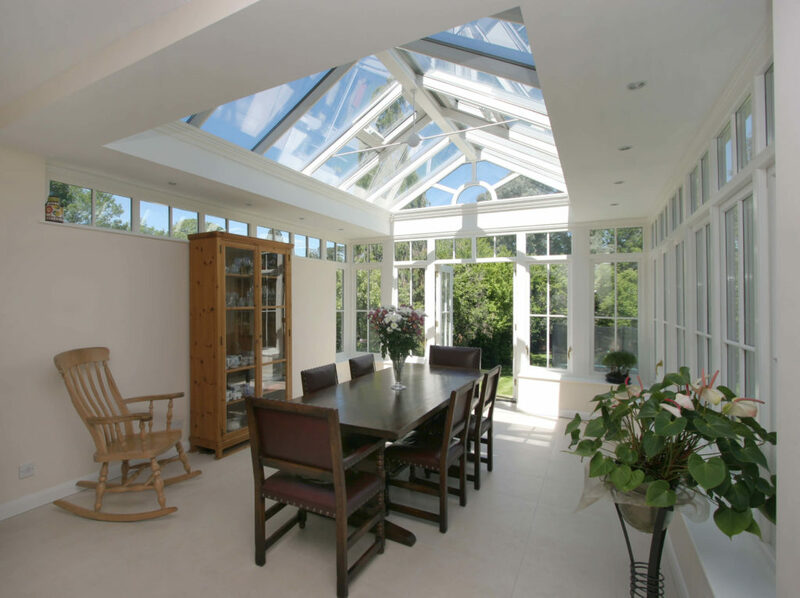 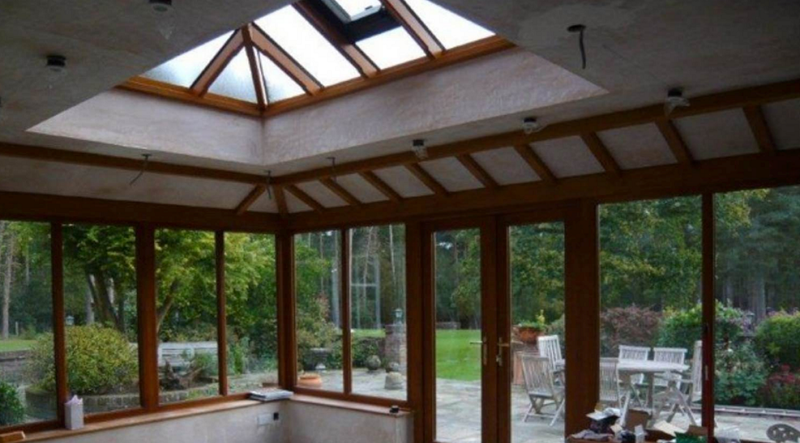 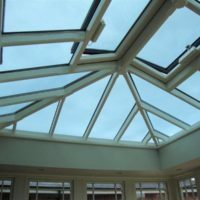 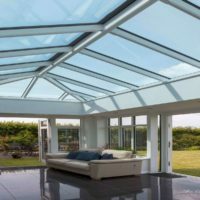 Our orangery roofs are manufactured to your exact specifications, below, are some of the general specifications of the roof lanterns and kits we manufacture in our joinery. 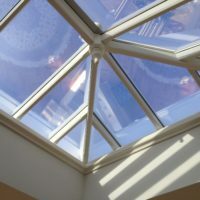 Our orangery roof lantern kits are easy to assemble thanks to the hip and rafter clip mechanism. 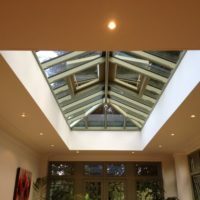 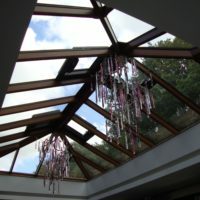 We can provide a range of different options from double hipped roof lanterns (with or without upstands) to flat / domed / curved or architectural lanterns. 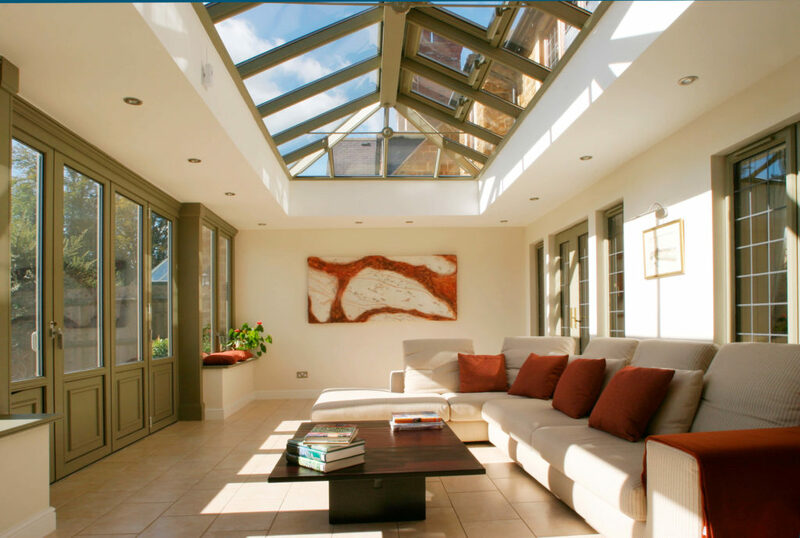 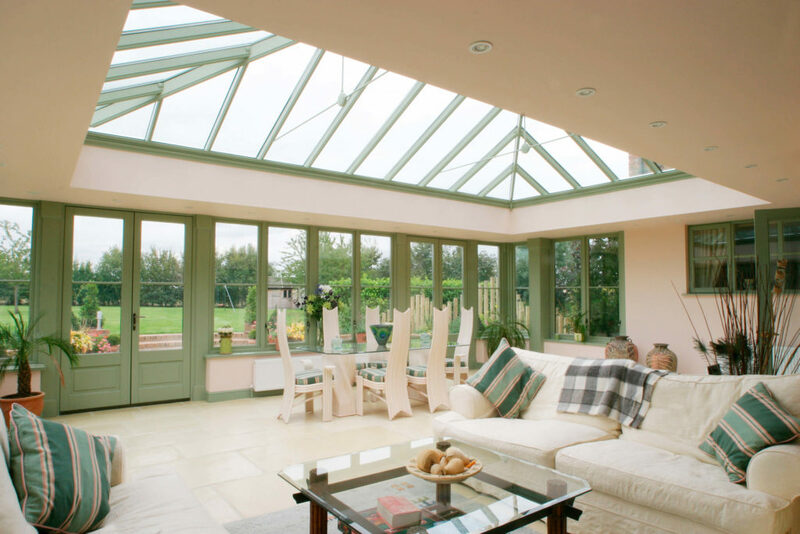 If your Orangery has a particular colour scheme / architectural features, we can design, style and paint the lantern to match existing structural features. 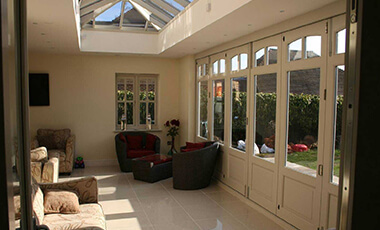 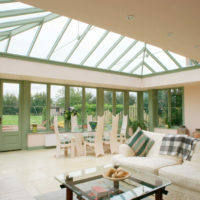 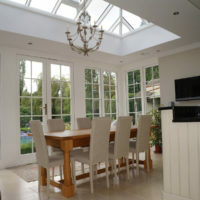 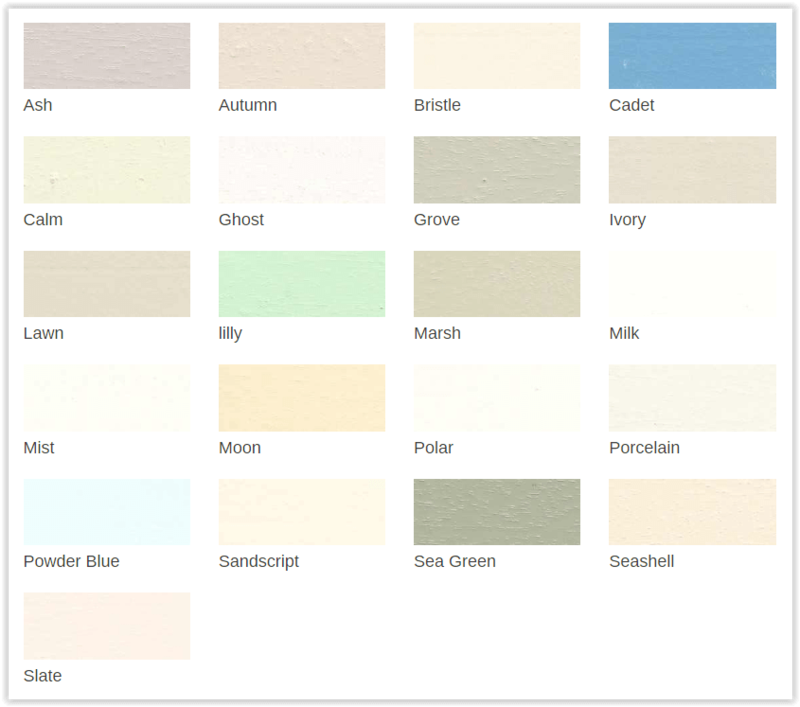 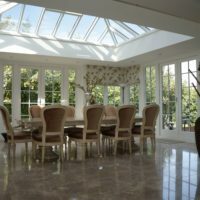 We use farrow and ball paints on treated, high quality oak and timber hardwood for all our orangery roofing solutions. 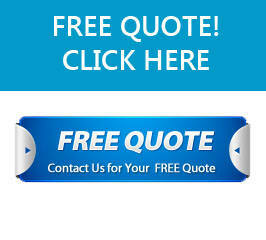 and a member of the team will run through your requirements from start to finish. 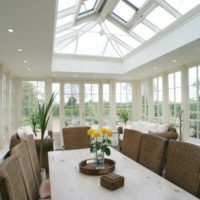 If you require a DIY kit or help with installation we can assist in both circumstances. 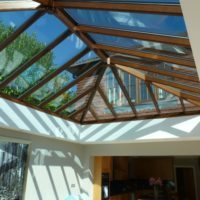 If you would like to learn more about orangery roof construction or how our kits can be used as a direct replacement for existing orangery roofs then please give us a call. 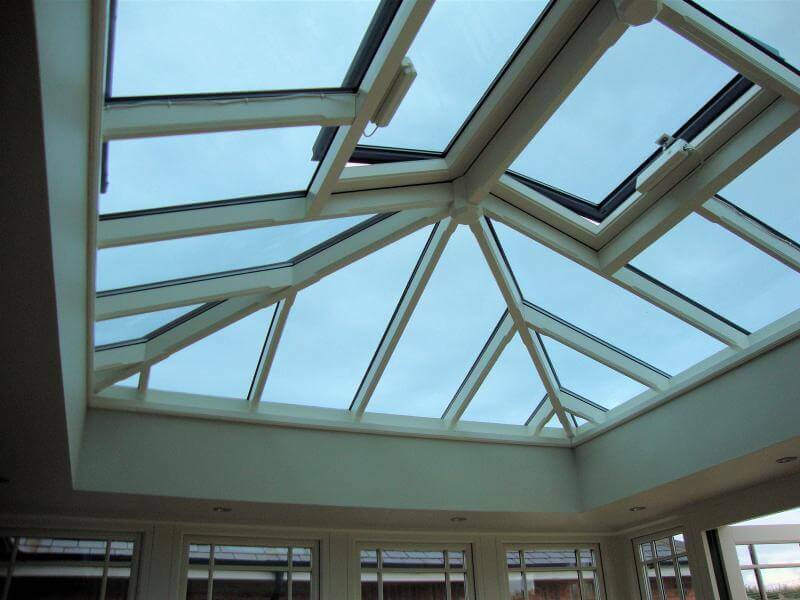 We offer trade options for orangery roof lantern kits. 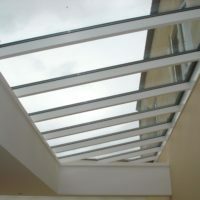 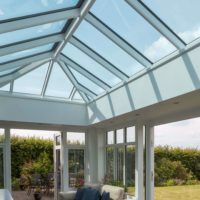 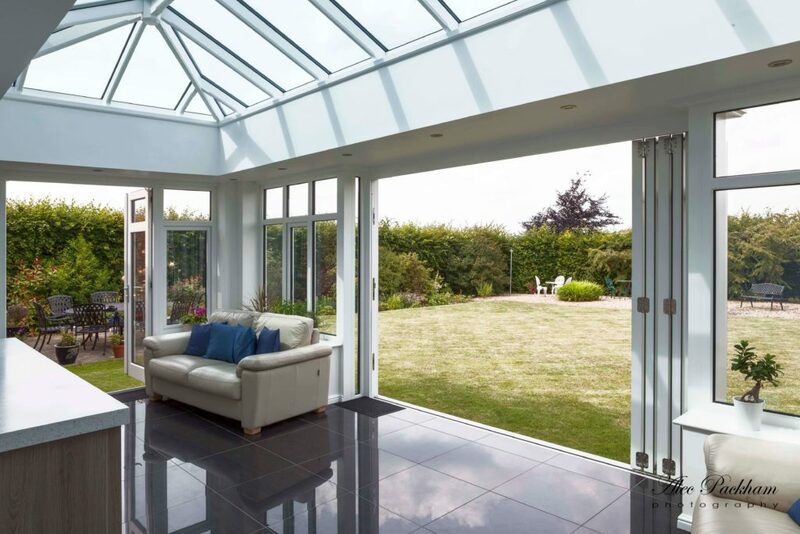 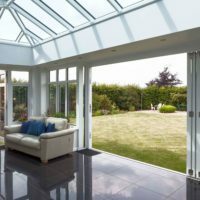 If you are offering a replacement roof service for your clients we can manufacture and supply bepoke orangery roof replacements in bulk at a discounted price. 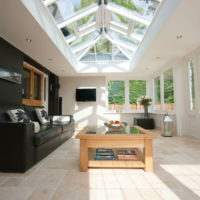 Please talk to a member of our trade team about your orangery roof requirements. 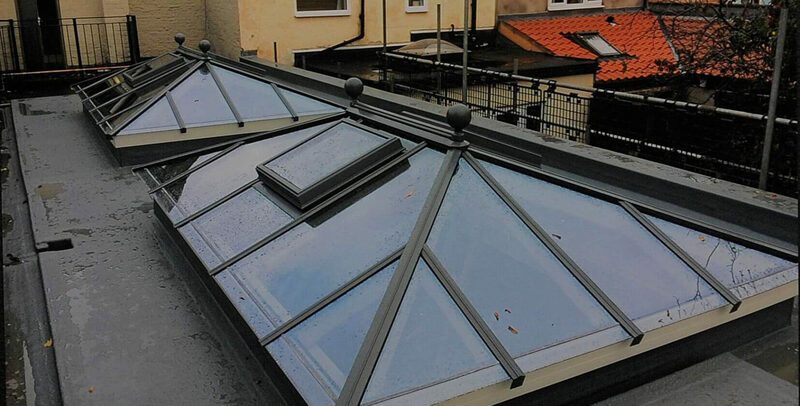 Lead times vary from 4 weeks onwards, a member of our trade department can give you accurate lead times based on your project requirements.